What's For Lunch Honey? : Say it with love! I spent a part of last week taking lovely shots for a few cards for Valentine's Day. It was fun and now looking back, also kind of sweet. Just thinking that in a few weeks time Valentine's Day will be here really put me into a romantic mood, causing me to do all kinds of mushy things when Tom was around - no details, but I think he was wondering if I had done anything wrong and needed to make up for it LOL! That's why I love Valentine's Day. Although it might be true that we do not need a special day to celebrate love and affection for our partner, I often find that when one has been in a partnership for so long - and we will be celebrating 10 years this September - the daily routine does take over a better part of our lives. Tom and I try often to break away from that routine and try to do something special on a few occasions but, I just love the idea of having a special day to celebrate being in love. The day gives me reason to be mushy and sentimental and dress-up and eagerly wait till the doorbell rings and my prince is standing tall with a bunch of roses, ready to sweep me off into an elegant, glittering evening of fun and romance. Even if it does not quite happen just like that the anticipation is a lot of fun. So, this week as I was shooting my pictures, I was in the best of spirits and, as you probably can imagine, full of anticipation. My aim this year was to take shots for elegant cards. Designs that will make the person reading the card feel the anticipation of what is to come. It was important to me that all these cards have a certain pure and elegant feel to them and I wanted the picture to express just the way one would feel. Be it a bold red colored rose, for those who know exactly what they want to say, Red Rose will be the perfect way to express those bold feelings. Sometimes a picture says exactly what our heart feels. It's hard to let those feelings out to truly show the other the intensity of our affection or love. Boxed Love will motivate some to let those feelings out. Pure and delicate, this card is one of my favorites. Just like a delicate budding rose our feelings need to be cared for and caressed. Caress will help others to find the right words for the right person. Finally, for those who would like to show those feelings with a pure and simple charm, White Rose is an elegant way to bring over the perfect message. I hope I was able to fill you up with a bit of warm, mushy feelings and if you want to express them to someone special, maybe the one or the other card here will help you say those perfect words. You'll also find several other motives and products in my gallery, so have a great time browsing through it. Right now you can order any of the cards and get a 30% discount. This offer is applied to orders of one or more greeting cards or note cards and applies to the price of the product, not to shipping, taxes, and other charges. The coupon code LOVECARD2008 must be entered during checkout to receive the offer. Offer is valid from January 10, 2008 at 11:59pm PST through February 14, 2008 at 11:59pm PST. Your order must be placed during that time to qualify for this special promotional pricing offer. Flowers language is amazing! I couldn't just take one... I want the whole bunch in my relation!!! Who doesn't? Absolutely beautiful photos, Meeta! The cards are a lovely idea. Nice photo -- that's something you should frame! 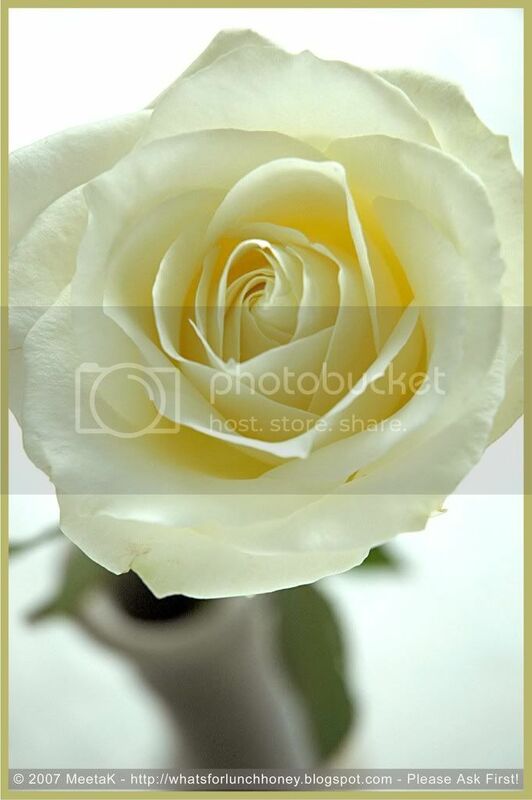 I particularly love white roses (my wedding bouquet was just white roses) so the lst two pics are my favourite. 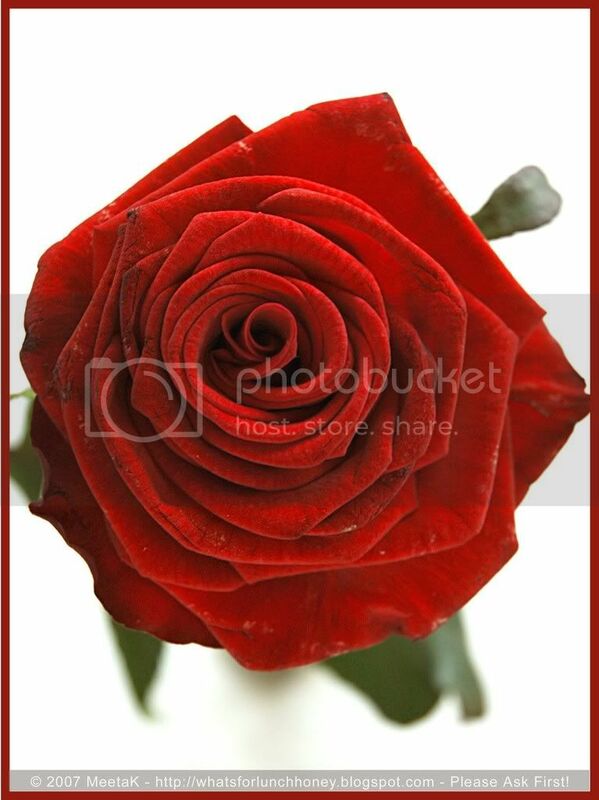 LOved the red rose!! Pics are stunning! Hello Meeta, lovely pictures absolutely! I've visited your zazzle shop as well. tell me what is your experience with them? How long have you had to wait after placing orders? Meeta, I tried sending the details of MM- Confort Foods to the mail id you have given in the announcement post but had a failure delivery notice, so I have sent it to blogmeeta id. Could you pls check? Those are really Lovely ! May be you can also put some of your loving thoughts on card. you described it so well, Anticipation is sweet when you are sure of outcome :) . this is really a Loving post Meeta :). 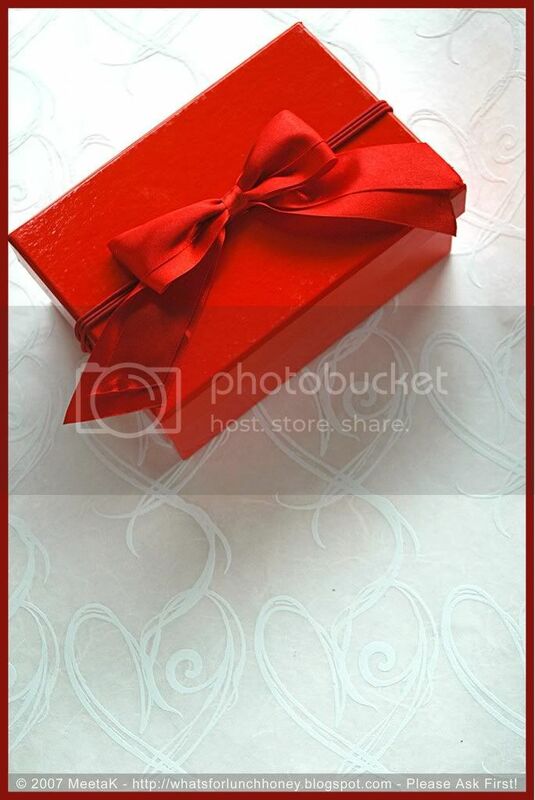 Meeta, these photographs are absolutely beyond PERFECT for Valentine's Day; or anytime of year!! I continue to be awestruck and inspired by your eye for photography. 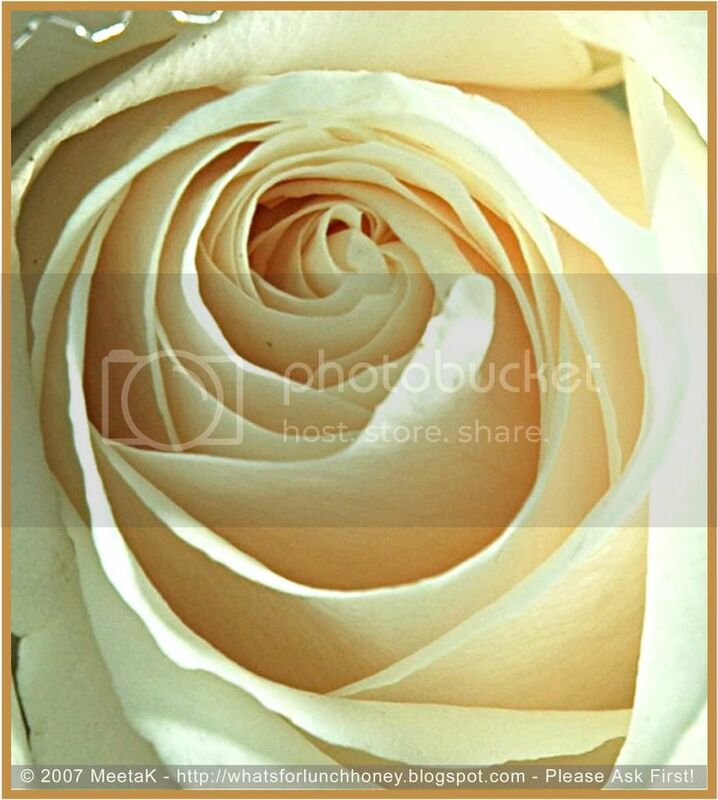 Those are beautiful rose photos, Meeta!! Each one seems to be "the one"! You take my breath away with them. Maybe the first . . .
ShyAnd, it's very varied. I have not really found if there is a trend yet. Some pick up quite quickly like the calendar and the Xmas cards, others are slow like the Thanksgiving ones. But later pick up. Currently the Valentine's is starting up slowly. Hi Shy! Yes i have ordered several of my products - recently the Valentine's cards and the calendar. Both deliveries took different periods of time. The cards took about 4 days to get here and the calendar a little over a week. I am not sure but i believe the delivery days are stated somewhere when you order on Zazzle.